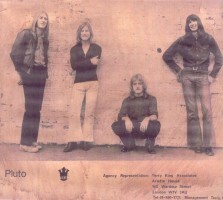 I joined 'Pluto' after The Foundations split up in 1970,the group's Album 'Pluto' came out on the Dawn label selling steadily for a while a few years later the album was repackaged and renamed 'Pluto plus,again, this has been selling steadily ever since,Sanctuary records have since licensed it to their sister company Vector and rereleased the original album in Japan, so it just wont go away. During the early/mid '60s, Paul Gardner had drifted itinerantly around North London's active Beat Group scene, appearing in a myriad of Pop/R&R/R&B groups, eventually winding up in Jack's Union - a heavy-ish, psychedelic outfit who had established a residency at the Kew Boat House. They were, in fact, one of the very last groups to record for legendary indie producer Joe Meek - they'd done a couple of sessions at his tiny Holloway Road studio and even signed a recording contract with him, merely weeks before his suicide in February 1967. Nevertheless, it does seem unlikely that they would ever have established much of a musical rapport with Meek. They'd created something of a reputation for heads-down lunacy - and, latching onto the more sensational/destructive aspects of Hendrix and The Who, they soon attracted considerable media attention; notably for their 'Finale', a loose jam built around "Purple Haze", which involved the decapitation and subsequent dismemberment of a tailor's dummy. Needless to say, the crowd loved it; and a suitably appreciative mention in Melody Maker's influential "The Racer" column sealed their fame, virtually guaranteeing their instant notoriety. However, they were unable to convert their newfound cult status to sound commercial success, and eventually split, Gardner meandering off on his travels again, working variously with Dry Ice, a mainstream psychedelic band (they supported Rory Gallagher's Taste at Hamburg's Star Club), Hawkwind (albeit only very briefly), Cochise, Skin Alley, High Tide, and Trees (a much-underrated band with whom Gardner played bass, now chiefly remembered for several tremendous sessions on John Peel's "Top Gear"), and finally teaming up with guitarist Alan Warner and ex-Mighty Joe Young drummer Derek Jervis to form Pluto. Warner was, in fact, the most experienced/well-known/successful member, his most recent gig having been with The Foundations, a hugely-popular multi-racial soul/pop group who had scored heavily during the late '60s with several Tony Macaulay/John Macleod songs. However, long before The Foundations, Warner had been on the road, accumulating vast experience. Originally something of a child prodigy, he'd actually started gigging as a 13-year-old playing in an instrumentals-only group, his earliest influences being the likes of Duane Eddy and The Ventures. His first 'real' group, The Trekkers, circa 1962, saw him operating in traditional '60s Beat Boom territory, working the usual repertoire of R&B/R&R standards - as did his next hall-dozen or so groups as he drifted through the North London group scene. Only one seems to have made a lasting impression on him - The Dwellers: highly regarded locally, they were by all accounts excellent live, earning their living principally via tours of the US Air bases. Following a brief stint with the Leesiders Sect - an out-and-out blues group - he spent a couple of years in the lucrative world of sessions, before getting back into live music on the back of the Soul boom. He joined The Ramong Sound - later simply The Ramong - a raw, powerful R&B/soul/ska outfit featuring two black lead singers, who rapidly established a massive reputation on the London Club scene for their live set. A further change-of-name saw them repositioned as The Foundation Sound (later amended to the more manageable, familiar version) when one of the two featured vocalists - Ramong, after whom they'd taken their name - was detained at Her Majesty's pleasure for 6 months following a spot of domestic bother. An introduction to Pye Records' Tony Macaulay did the trick, and within a few months they were at No.1 with "Baby Now That I've Found You", headlining national package tours in the company of Edwin Starr and The Toys. But by 1970, The Foundations were on the verge of calling it a day; the run of hits had dried up, personnel changes had robbed them of key members, and they were working the group's name strictly for the bread. Warner had long since decided that a significant change in musical direction was in order; sick of playing soul muzak and keen to get back to playing again, he'd decided to get his teeth into the mushrooming rock scene, to which end he teamed up with Gardner and Jervis in the embryonic Pluto, at first alternating rehearsals with his contractual commitments to The Foundations. Following extensive and exhausting auditions, ex-used car salesman/wideboy Mick Worth, an out-and-out extrovert whose CV included a stint in Black August, was recruited on bass. An enthusiastic live performer, he was by all accounts selected as much for his equipment (notably a large transit van! ), stage presence and undeniable qualities as a poseur, as for his abilities as a bassist; among his impressive array of hardware was a Precision bass which had previously belonged to The Who's John Entwistle. Thus constituted, they signed to the Terry King Agency and took to the road; their bluesy, hard-rock set quickly won them a fair old reputation and a loyal following on the university/college circuit, which they quickly expanded upon, eventually establishing themselves as regulars at many of the more prestigious gigs - notably The Marquee - and appearing in a supporting role at several of the outdoor festivals of that era, most memorably at the National Jazz, Folk and Blues Festival in Plumpton, supporting The Who. And they toured with just about everybody; their peer groups at the time including the likes of Thin Lizzy, Genesis, Tyrannosaurus Rex, and, in particular, the first wave of HM bands, whose sound was clearly reflected in Pluto's set. Now, by the end of the '60s, pop music's metamorphosis info the multi-limbed monster which we now all know as rock, was more or less complete - to the apparent surprise and consternation of certain areas of the music industry. Take Pye Records for example, they were musically well out of touch and they knew it; their chart regulars were Val Doonican, Joe Dolan and Pickettywitch; they'd long since lost Joe Brown, The Searchers and Long John Baldry, the hits had dried up for The Kinks, Status Quo and Donovan, they'd missed out on the psychedelic trip entirely, and they were having desperate trouble getting to grips with this new 'progressive' or 'underground' stuff which they'd been reading about in Melody Maker. Other record companies were making genuine efforts to get to grips with this new market - initially by signing new bands, and ultimately by creating new specialist labels as their outlet. Consequently, this sudden, seemingly overnight, appearance of a whole new slew of hip indies - Island, Immediate, Charisma, Chrysalis, etc., all of whom were not only grimy with street cred, they all appeared to know exactly what they were up to (EMI had successfully inaugurated Harvest; Philips/Mercury had the excellent Vertigo label; Polydor seemed to have dozens of them - Track, Reaction, Marmalade, etc., and even staid old Decca had launched their Deram/Nova subsidiary), rather left Pye out in the cold, to which end they activated the Dawn label in 1970, scoring immediately with Mungo Jerry (who initially confounded the concept of the new label by registering as a singles band!) During the next few years, Dawn was responsible for the release of many notable albums, including those by artists as diverse as Man, Mungo Jerry, John Kongos, Prelude, Mike Cooper, Tim Rose, etc., as well as, of course, Pluto. A demo cut at Island's studios did the rounds of the record companies and eventually led to the deal with Dawn; consequently, early in 1971, they found themselves in Pye's Marble Arch studios with a somewhat bemused John Macleod who'd been designated as producer on the project. Now, although Macleod was an experienced pop producer/songwriter, he'd never previously worked in the rock idiom, which, by all accounts made for some fairly hairy moments and severe culture clashes! Nevertheless, it all came together surprisingly well; released in late '71, the album received favourable and encouraging reviews, and whilst it never registered chart status, it remained a steady seller whilst it was in catalogue, and served to further underscore their grass roots popularity. The overtly commercial "Rag A Bone Joe" was taken off the album and released as a single without success, which actually perturbed the band not at all as they had recorded the track only very reluctantly (back-op vocals on the track were supplied by Brotherhood Of Man, would you believe!) and under extreme pressure from producer Macleod, who'd written it. In the Spring of '72, a second single was released, comprising two new tracks not found on the album, "I Really Want It"/"Something That You Loved" - it was playlisted by Radio One and was very nearly an unexpected hit, picking up substantial airplay for several weeks. Lead vocals on this single were supplied by new boy John Gilbert (formerly with Cochise) who had joined Pluto briefly, thus expanding them to a quintet; however, he was destined to stay with them only for around six months, whereupon they carried on in their original format as a four-piece. They continued gigging for another 12 months or so, eventually grinding to a halt in 1973 - as a direct result of the miners' strike! Increasingly disillusioned with turning up at gigs only to find that they had been cancelled due to the three-day week, they finally elected to call it a day following a particularly frustrating gig at the Coventry Poly, during which they suffered a power cut literally hallway through their set. Having split up, they strayed off in curious directions. Gardner and Worth continued working together briefly as a duo, using the name PM. They toured with Hawkwind and generated some interest principally for a bass-synth unit which Worth had built and which for a few weeks became a topic of considerable interest and speculation in Melody Maker Letters/Equipment columns. However, the liaison ultimately led to nothing, and Gardner eventually drifted out of rock'n'roll and went back to his day job in print (he now works for one of our best-known tabloids), although he has started to get back into songwriting, having recently written a track which has been recorded by Status Quo! Worth returned to the world of used cars - he was last seen with short hair, tuning go-karts for a living and driving a Rolls Royce. Drummer Jervis went home to his native Warrington and is believed still to be drumming with local bands. Warner is the only one who has maintained links with rock, albeit tenuous links, taking in at various junctures sessions; drifting through various faceless bands, a spell giving guitar lessons, running his own small studio, demonstrating guitars, etc. He's currently very much on an 'up' again, having recently written a series of massive-selling lead guitar instruction manuals, "Alan Warner's Guitar Cook Book", a partwork, which comes complete with flexi-discs demonstrating each lesson. In hindsight, they had been desperately unlucky with "I Really Want It", which had shown all the early signs of success before tailing off. Perhaps if they'd been allowed to record the live track which they were so desperately keen to do, "Fake It", the highlight of their live set, which they'd found totally impossible to recreate in the studio, then possibly it might all just have turned out differently. But the album, whilst it received several enthusiastic reviews and had been a strong seller amongst their vast legion of loyal fans, was never going to be a chart item: it was given minimal promotion by Pye (just a handful of PAs at sundry record shops), which frankly, ain't the way to break a new band. In fact, just about the only national publicity they generated was unintentional - they'd been using a cartoon caricature of the Disney character, a drawing of a dog holding a guitar, for publicity purposes. It was also their intention to use this illustration on the cover of the album; however, Disney threatened them with a writ unless they paid an exorbitant fee, to which end they ended up with Pluto the God Of War on the sleeve! This compilation reissues the original album in its entirety, plus the two tracks which comprised their near-hit single. The material here, written by Gardner & Warner, with the exception of the aforementioned "Rag A Bone Joe", features the bulk of their live set (which they'd broken in on the road well before the sessions for the album, hence the band's comfortable and confident approach to it all! ), albeit in a considerably less manic vein than their live performance. Prompting evocative memories of many other heavy rock bands of the era, notably Bad Company, Black Sabbath, even Led Zepp, this stuff still sounds well tasty across the years. The standout is easily "I Really Want It", built on a familiar riff (sounding remarkably like some of the early '70s glam rock stuff, actually), it's easy to see why it picked up the airplay. Gardner's material (on which he takes the lead vocals) tends to be the more 'up', mainstream rock material: "Down And Out" (with its typically powerful riffing), "Stealing My Thunder" (featuring some tasty slide guitar), "Cross Fire" (which brings to mind early Black Sabbath), and "Bare Lady" (ditto) all being outstanding. Warner's tracks (on which he sings lead) tend to be heavier and more menacing, notably "And My Old Rocking Horse"; "She's Innocent" and "Road To Glory" with their power chords, riffing and liberal use of fuzzbox. A few tracks find them experimenting with vocal harmonies, somewhat in the manner of early ELO: "Mr. Westwood", "Beauty Queen" and "Something That You Loved". And finally, the less said about "Rag A Bone Joe", the better. So here we have the complete recorded legacy of Pluto, a group who came so close to making it, yet never quite achieved that final breakthrough which makes all the difference. True, they may not merit much more than a stitch or two in the bottom left-hand corner of rock'n'roll tapestry, but they nevertheless left behind a corker of an album, an excellent single and memories of dozens of powerful, raw, atmospheric gigs, which ain't too bad an epitaph, is it! Pluto, although not necessarily one of those bands who spring immediately to mind as having been a seminal influence on the weaving of rock music''s tapestry, nevertheless remain an excellent, if little-known and much underrated band, whose only album (originally released on the Dawn label back in November 1971) has, during the latter half of the ''90s, become a much sought-after item in the ever-expanding underground/progressive sector of the record collectors'' market. Conceived initially by guitarist Paul Gardner and taking their name from the Disney cartoon character, they were formed in North London in 1970. 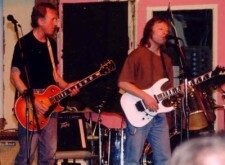 The key members were Gardner and Alan Warner, two highly experienced campaigners from widely disparate musical backgrounds, their full personnel comprising Paul Gardner (guitar/vocals); Alan Warner (guitar/vocals), Mick Worth (bass); and Derek Jervis (drums). During the early/mid ''60s, Paul Gardner had drifted itinerantly around North London''s active Beat Group scene, appearing in a myriad of Pop/R&R/R&B groups, eventually winding up in Jack''s Union - a heavy-ish, psychedelic outfit who had established a residency at the Kew Boat House. They were, in fact, one of the very last groups to record for legendary indie producer Joe Meek - they''d done a couple of sessions at his tiny Holloway Road studio and even signed a recording contract with him, merely weeks before his suicide in February 1967. Nevertheless, it does seem unlikely that they would ever have established much of a musical rapport with Meek. They''d created something of a reputation for heads-down lunacy - and, latching onto the more sensational/destructive aspects of Hendrix and The Who, they soon attracted considerable media attention; notably for their ''Finale'', a loose jam built around "Purple Haze", which involved the decapitation and subsequent dismemberment of a tailor''s dummy. Needless to say, the crowd loved it; and a suitably appreciative mention in Melody Maker''s influential "The Racer" column sealed their fame, virtually guaranteeing their instant notoriety. However, they were unable to convert their newfound cult status to sound commercial success, and eventually split, Gardner meandering off on his travels again, working variously with Dry Ice, a mainstream psychedelic band (they supported Rory Gallagher''s Taste at Hamburg''s Star Club), Hawkwind (albeit only very briefly), Cochise, Skin Alley, High Tide, and Trees (a much-underrated band with whom Gardner played bass, now chiefly remembered for several tremendous sessions on John Peel''s "Top Gear"), and finally teaming up with guitarist Alan Warner and ex-Mighty Joe Young drummer Derek Jervis to form Pluto. Warner was, in fact, the most experienced/well-known/successful member, his most recent gig having been with The Foundations, a hugely-popular multi-racial soul/pop group who had scored heavily during the late ''60s with several Tony Macaulay/John Macleod songs. However, long before The Foundations, Warner had been on the road, accumulating vast experience. Originally something of a child prodigy, he''d actually started gigging as a 13-year-old playing in an instrumentals-only group, his earliest influences being the likes of Duane Eddy and The Ventures. His first ''real'' group, The Trekkers, circa 1962, saw him operating in traditional ''60s Beat Boom territory, working the usual repertoire of R&B/R&R standards - as did his next hall-dozen or so groups as he drifted through the North London group scene. Only one seems to have made a lasting impression on him - The Dwellers: highly regarded locally, they were by all accounts excellent live, earning their living principally via tours of the US Air bases. Following a brief stint with the Leesiders Sect - an out-and-out blues group - he spent a couple of years in the lucrative world of sessions, before getting back into live music on the back of the Soul boom. He joined The Ramong Sound - later simply The Ramong - a raw, powerful R&B/soul/ska outfit featuring two black lead singers, who rapidly established a massive reputation on the London Club scene for their live set. A further change-of-name saw them repositioned as The Foundation Sound (later amended to the more manageable, familiar version) when one of the two featured vocalists - Ramong, after whom they''d taken their name - was detained at Her Majesty''s pleasure for 6 months following a spot of domestic bother. An introduction to Pye Records'' Tony Macaulay did the trick, and within a few months they were at No.1 with "Baby Now That I''ve Found You", headlining national package tours in the company of Edwin Starr and The Toys. But by 1970, The Foundations were on the verge of calling it a day; the run of hits had dried up, personnel changes had robbed them of key members, and they were working the group''s name strictly for the bread. 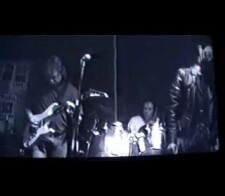 Warner had long since decided that a significant change in musical direction was in order; sick of playing soul muzak and keen to get back to playing again, he''d decided to get his teeth into the mushrooming rock scene, to which end he teamed up with Gardner and Jervis in the embryonic Pluto, at first alternating rehearsals with his contractual commitments to The Foundations. Following extensive and exhausting auditions, ex-used car salesman/wideboy Mick Worth, an out-and-out extrovert whose CV included a stint in Black August, was recruited on bass. An enthusiastic live performer, he was by all accounts selected as much for his equipment (notably a large transit van! ), stage presence and undeniable qualities as a poseur, as for his abilities as a bassist; among his impressive array of hardware was a Precision bass which had previously belonged to The Who''s John Entwistle. Thus constituted, they signed to the Terry King Agency and took to the road; their bluesy, hard-rock set quickly won them a fair old reputation and a loyal following on the university/college circuit, which they quickly expanded upon, eventually establishing themselves as regulars at many of the more prestigious gigs - notably The Marquee - and appearing in a supporting role at several of the outdoor festivals of that era, most memorably at the National Jazz, Folk and Blues Festival in Plumpton, supporting The Who. And they toured with just about everybody; their peer groups at the time including the likes ofThin Lizzy Genesis, Tyrannosaurus Rex, and, in particular, the first wave of HM bands, whose sound was clearly reflected in Pluto''s set. Now, by the end of the ''60s, pop music''s metamorphosis info the multi-limbed monster which we now all know as rock, was more or less complete - to the apparent surprise and consternation of certain areas of the music industry. Take Pye Records for example, they were musically well out of touch and they knew it; their chart regulars were Val Doonican, Joe Dolan and Pickettywitch; they''d long since lost Joe Brown, The Searchers and Long John Baldry, the hits had dried up for The Kinks, Status Quo and Donovan, they''d missed out on the psychedelic trip entirely, and they were having desperate trouble getting to grips with this new ''progressive'' or ''underground'' stuff which they''d been reading about in Melody Maker. A demo cut at Island''s studios did the rounds of the record companies and eventually led to the deal with Dawn; consequently, early in 1971, they found themselves in Pye''s Marble Arch studios with a somewhat bemused John Macleod who''d been designated as producer on the project. Now, although Macleod was an experienced pop producer/songwriter, he''d never previously worked in the rock idiom, which, by all accounts made for some fairly hairy moments and severe culture clashes! Nevertheless, it all came together surprisingly well; released in late ''71, the album received favourable and encouraging reviews, and whilst it never registered chart status, it remained a steady seller whilst it was in catalogue, and served to further underscore their grass roots popularity. The overtly commercial "Rag A Bone Joe" was taken off the album and released as a single without success, which actually perturbed the band not at all as they had recorded the track only very reluctantly (back-op vocals on the track were supplied by Brotherhood Of Man, would you believe!) and under extreme pressure from producer Macleod, who''d written it. Having split up, they strayed off in curious directions. Gardner and Worth continued working together briefly as a duo, using the name PM. They toured with Hawkwind and generated some interest principally for a bass-synth unit which Worth had built and which for a few weeks became a topic of considerable interest and speculation in Melody Maker Letters/Equipment columns. However, the liaison ultimately led to nothing, and Gardner eventually drifted out of rock''n''roll and went back to his day job in print (he now works for one of our best-known tabloids), although he has started to get back into songwriting, having recently written a track which has been recorded by Status Quo! Worth returned to the world of used cars - he was last seen with short hair, tuning go-karts for a living and driving a Rolls Royce. Drummer Jervis went home to his native Warrington and is believed still to be drumming with local bands. Warner is the only one who has maintained links with rock, albeit tenuous links, taking in at various junctures sessions; drifting through various faceless bands, a spell giving guitar lessons, running his own small studio, demonstrating guitars, etc. He''s currently very much on an ''up'' again, having recently written a series of massive-selling lead guitar instruction manuals, "Alan Warner''s Guitar Cook Book", a partwork, which comes complete with flexi-discs demonstrating each lesson. In the Spring of ''72, a second single was released, comprising two new tracks not found on the album, "I Really Want It"/"Something That You Loved" - it was playlisted by Radio One and was very nearly an unexpected hit, picking up substantial airplay for several weeks. Lead vocals on this single were supplied by new boy John Gilbert (formerly with Cochise) who had joined Pluto briefly, thus expanding them to a quintet; however, he was destined to stay with them only for around six months, whereupon they carried on in their original format as a four-piece. They continued gigging for another 12 months or so, eventually grinding to a halt in 1973 - as a direct result of the miners'' strike! Increasingly disillusioned with turning up at gigs only to find that they had been cancelled due to the three-day week, they finally elected to call it a day following a particularly frustrating gig at the Coventry Poly, during which they suffered a power cut literally hallway through their set. In hindsight, they had been desperately unlucky with "I Really Want It", which had shown all the early signs of success before tailing off. Perhaps if they''d been allowed to record the live track which they were so desperately keen to do, "Fake It", the highlight of their live set, which they''d found totally impossible to recreate in the studio, then possibly it might all just have turned out differently. But the album, whilst it received several enthusiastic reviews and had been a strong seller amongst their vast legion of loyal fans, was never going to be a chart item: it was given minimal promotion by Pye (just a handful of PAs at sundry record shops), which frankly, ain''t the way to break a new band. In fact, just about the only national publicity they generated was unintentional - they''d been using a cartoon caricature of the Disney character, a drawing of a dog holding a guitar, for publicity purposes. It was also their intention to use this illustration on the cover of the album; however, Disney threatened them with a writ unless they paid an exorbitant fee, to which end they ended up with Pluto the God Of War on the sleeve! This compilation reissues the original album in its entirety, plus the two tracks which comprised their near-hit single. The material here, written by Gardner & Warner, with the exception of the aforementioned "Rag A Bone Joe", features the bulk of their live set (which they''d broken in on the road well before the sessions for the album, hence the band''s comfortable and confident approach to it all! ), albeit in a considerably less manic vein than their live performance. Prompting evocative memories of many other heavy rock bands of the era, notably Bad Company, Black Sabbath, even Led Zepp, this stuff still sounds well tasty across the years. The standout is easily "I Really Want It", built on a familiar riff (sounding remarkably like some of the early ''70s glam rock stuff, actually), it''s easy to see why it picked up the airplay. Gardner''s material (on which he takes the lead vocals) tends to be the more ''up'', mainstream rock material: "Down And Out" (with its typically powerful riffing), "Stealing My Thunder" (featuring some tasty slide guitar), "Cross Fire" (which brings to mind early Black Sabbath), and "Bare Lady" (ditto) all being outstanding. Warner''s tracks (on which he sings lead) tend to be heavier and more menacing, notably "And My Old Rocking Horse"; "She''s Innocent" and "Road To Glory" with their power chords, riffing and liberal use of fuzzbox. A few tracks find them experimenting with vocal harmonies, somewhat in the manner of early ELO: "Mr. Westwood", "Beauty Queen" and "Something That You Loved". And finally, the less said about "Rag A Bone Joe", the better. So here we have the complete recorded legacy of Pluto, a group who came so close to making it, yet never quite achieved that final breakthrough which makes all the difference. True, they may not merit much more than a stitch or two in the bottom left-hand corner of rock''n''roll tapestry, but they nevertheless left behind a corker of an album, an excellent single and memories of dozens of powerful, raw, atmospheric gigs, which ain''t too bad an epitaph, is it! Acknowledgements to Paul Gardner and Alan Warner.